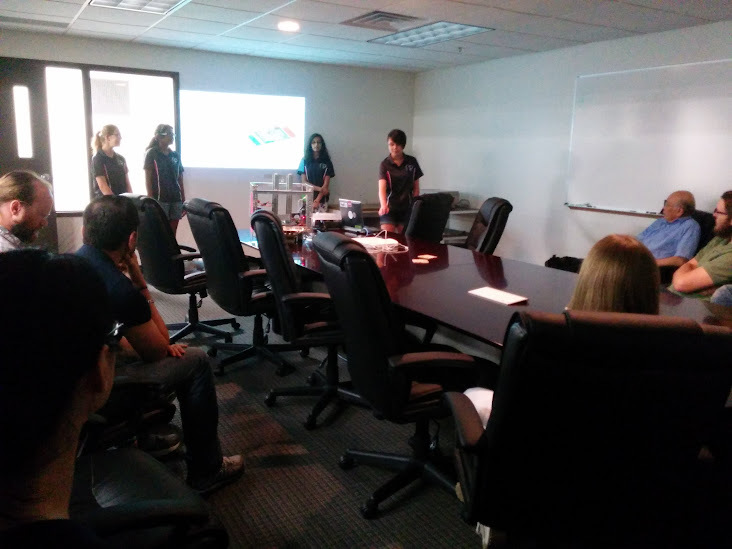 Today, we had a demo at LKT Labs, a company that has sponsored our team ever since we were in FLL. We gave a slide presentation at the beginning of the demo briefly describing the four programs within FIRST and the details of FTC. 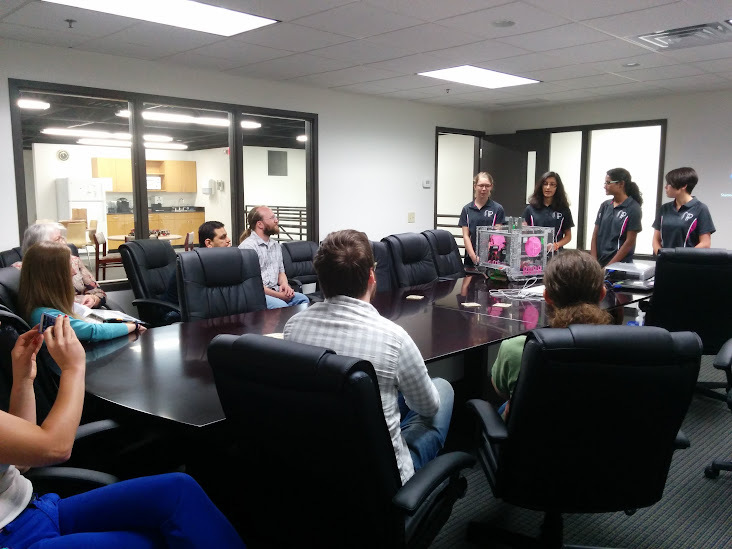 We then talked about the features of our robot and the new Android platform this year. During the presentation, we also described the accomplishments we’ve had throughout our robotics career and the impacts FIRST has had on us. 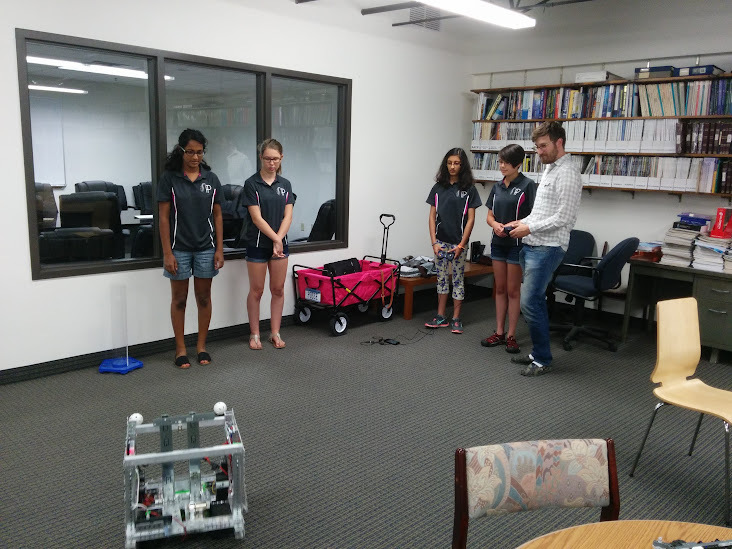 We then demonstrated our robot and reiterated how the FTC game is set up at competitions.